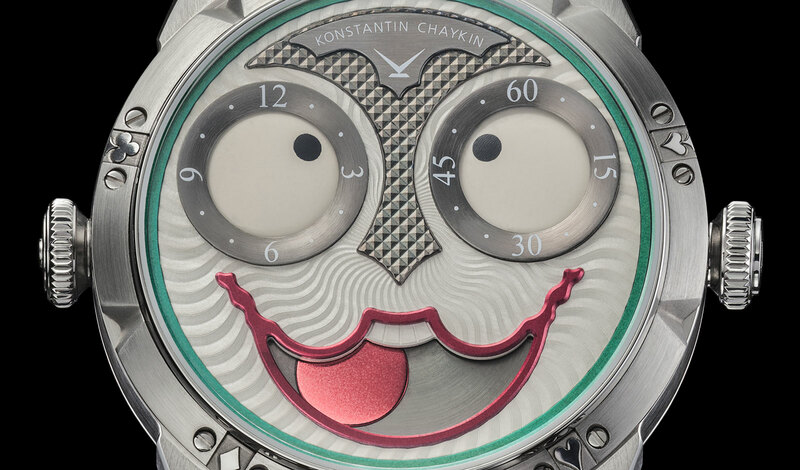 Moscow-based Konstantin Chaykin is the only Russian member of the AHCI. 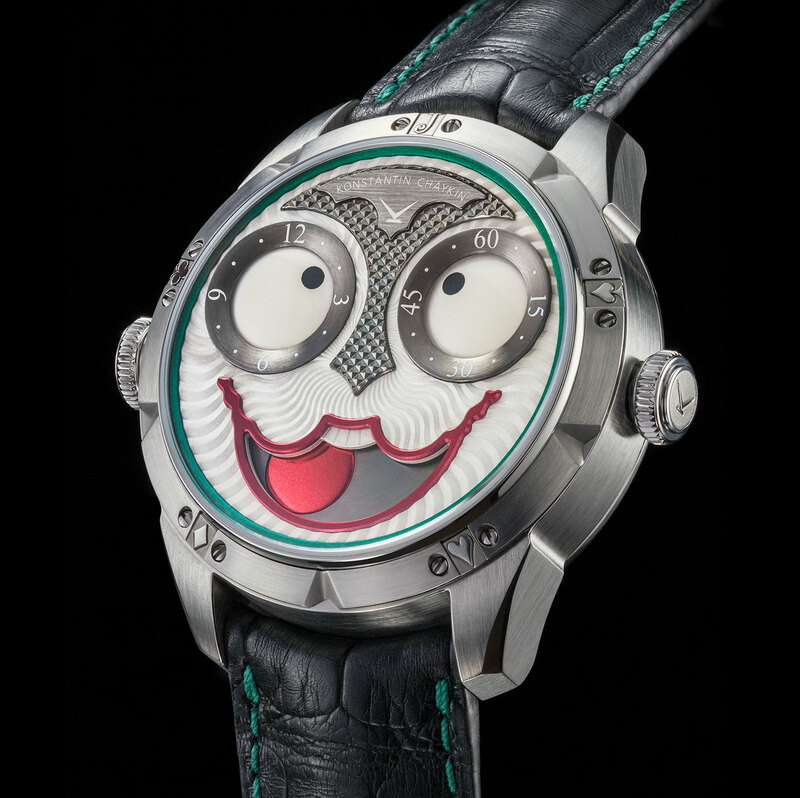 Best known for serious looking watches like the Lunokhod and Cinema, his latest creation that will be unveiled at Baselworld 2017 is lighthearted and affordable. 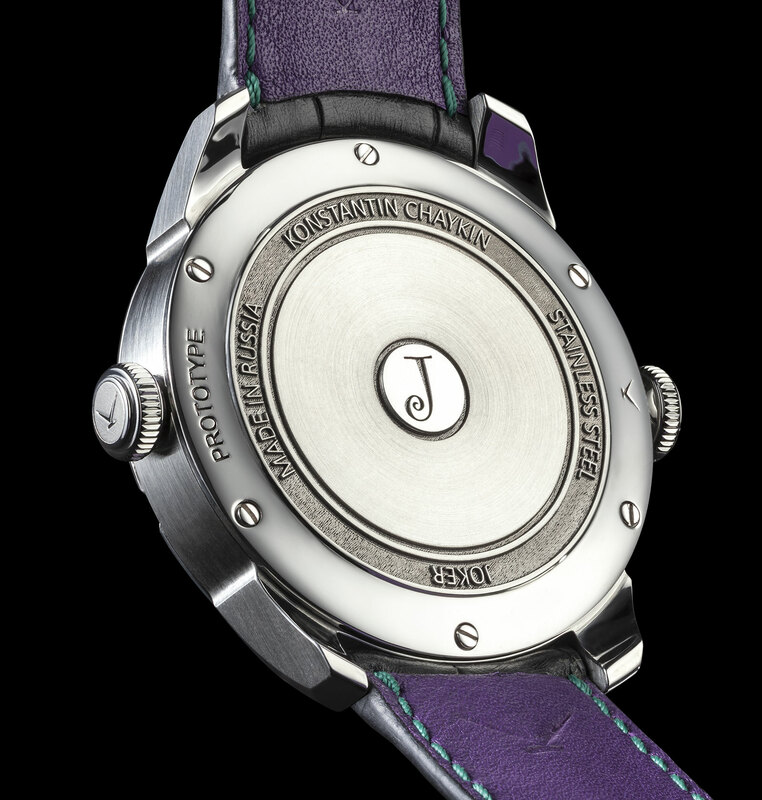 The Joker wristwatch has a regulator-style dial that resembles a jester’s face. 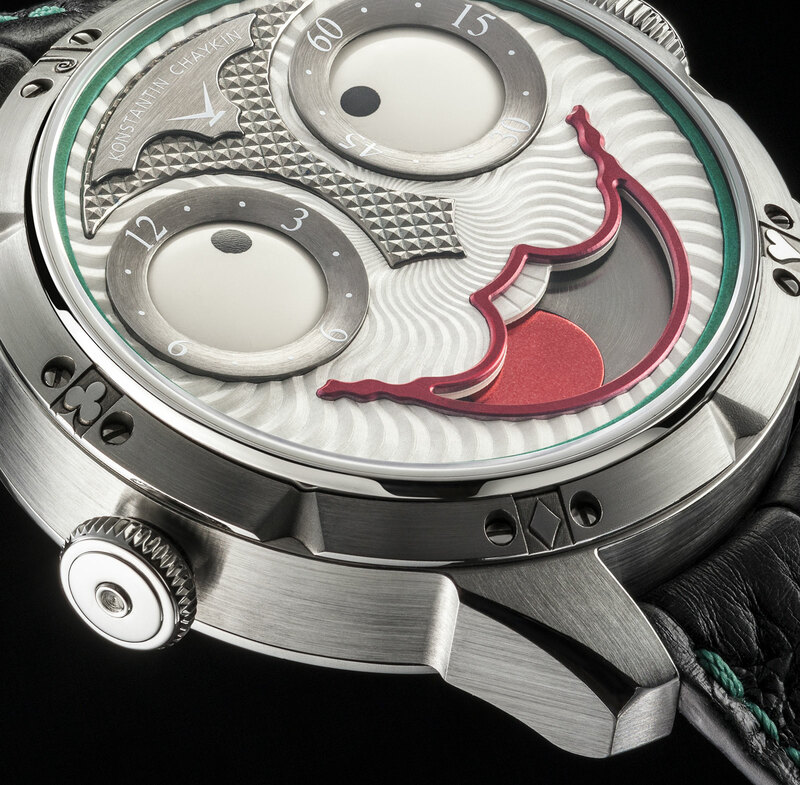 The time displayed on separate sub-dials that form of the eyes of the clown – hours are at 10 o’clock and minutes are at two – with the pupils pointing to the time. A moon phase display takes the form of a grinning, open mouth at six o’clock. As the time and age of the moon progresses, the expression of the jester changes. The face of the watch is decorated with two guilloche patterns, a wavy, radial motif on the silver-plated dial, and a hobnail pattern on the ruthenium-plated nose. Chaykin built the module that shows the time; it’s made up of 61 parts, including eight jewels. 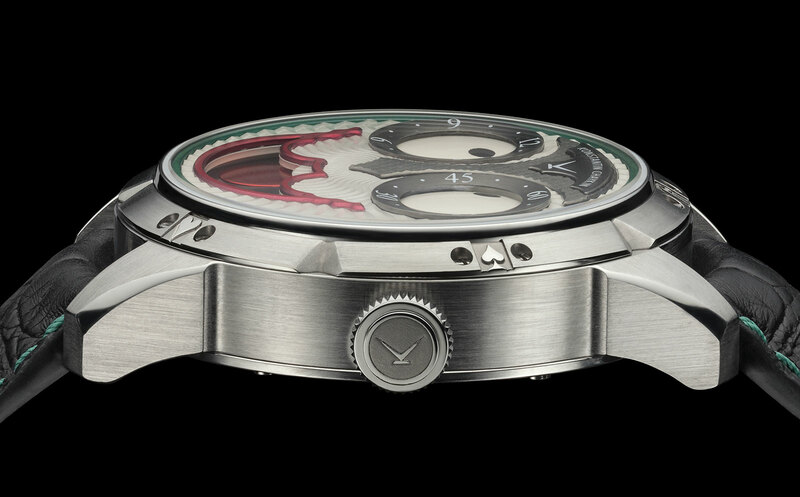 The module sits on the robust and no-nonsense ETA 2824 base movement, which is automatic and has a 38-hour power reserve. The crown at three o’clock is for winding and time-setting, while the crown at nine is actually fixed, containing a recessed pusher for adjusting the moon phase. The case is stainless steel and relatively large, being 42mm wide and 13.7mm high. 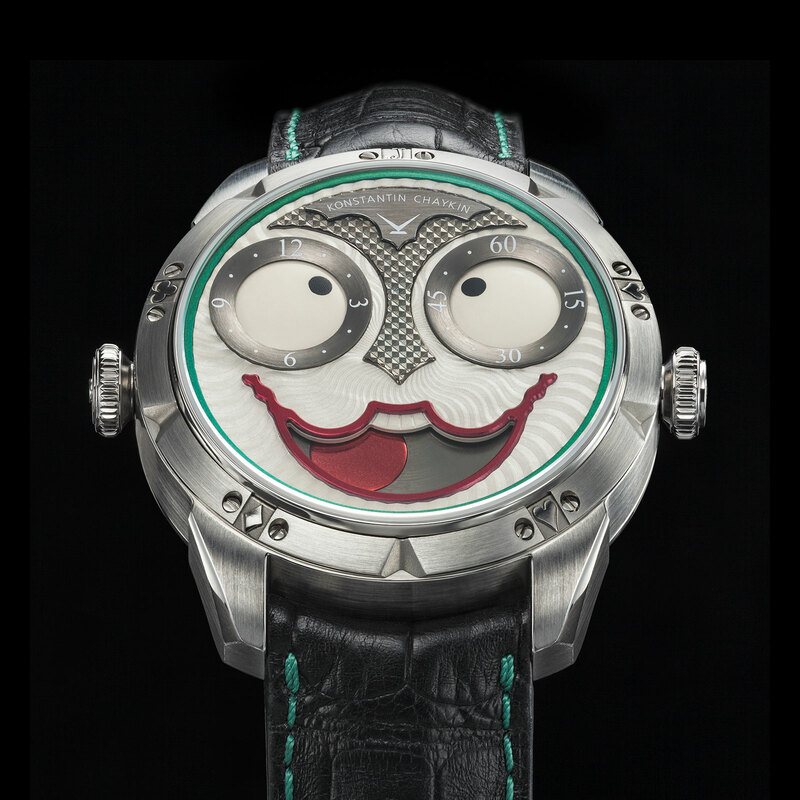 The Joker is a limited edition of 99 pieces, priced at €6990 (about US$7510). It is available direct from Konstantin Chaykin. Correction March 18, 2017: The retail price is €6990, and not €5990 as previously stated.